Vending machine that dispenses snacks and sweets. Many people come and go through hospitals on a daily basis, whether as a member of staff, a patient or visiting loved ones. We have seen through PHE’s Smokefree NHS campaign that many Trusts have shown great leadership in recognising their role in preventing ill health. Just as supporting patients, staff and visitors to quit smoking is a positive step forward, the NHS can also make a difference through its food and drink options, to help address the obesity crisis facing our nation and our health service. In its Five Year Forward View, NHS England made a commitment to ensure the NHS as an employer sets a national example relating to food and drink sold on its premises. This also translates into better patient care, by making healthier choices available to everyone, while enabling staff to lead by example and inform patients and the public about how diet can improve health. With obesity-related illness costing the NHS around £6.1 billion per year, NHS Trusts stand to gain by playing their part in tackling this health challenge. Vending machines provided 922.2 million products, including snacks and cold drinks, in the UK in 2015. 85% of vending machines are found in the workplace, and commonly in NHS working environments. With the NHS being the UK’s biggest employer, healthier vending can offer a significant opportunity to encourage healthy consumption habits amongst NHS staff, as well as patients and visitors. The food and drink industry has recognised the growing interest in healthier vending machines, as consumers increasingly demand healthier options. Currently, 39% of vended cold drinks in the UK were reported to be “low sugar, diet or water”, and 14% of snacks are labelled as “healthier”. Much of our consumption behaviour is automatic, largely unconscious and triggered by stimuli within the environment. Behavioural insights applies behavioural science to policy and practice with a focus on these ‘automatic’ processes. In 2015, the Department of Health and Social Care (then the Department of Health) worked with vending company Selecta and Leeds Teaching Hospitals NHS Trust to implement two interventions using behavioural insights. This was applied to 17 vending machines (11 cold drinks machines and 6 mixed snack machines) across its hospital sites. PHE has analysed the findings from this pilot trial to see whether any learnings could be applied more widely. Phase 1 sought to alter the availability of healthier items within the vending machine. Healthier products were also moved to the least prominent positions within the machines. This aimed to discover whether increased availability of healthier products alone could help encourage healthier choices. Phase 2 sought to alter the product placement within vending machines, placing the healthiest items in the most prominent positions (the top three rows, to be closest to eye level) and the unhealthiest items in the least prominent positions (including the bottom row). This aimed to discover whether increased availability, combined with increased visibility, of healthier products could help encourage healthier choices. How did this affect sales of drinks? Across the two intervention phases, overall sales of drinks increased. There was a substantial decrease in average calories and total sugar per drink purchased – this suggests customers switch to alternative products, such as water, when less healthy drinks are removed. By the end of Phase 2, sales of bottled water had increased by 54% while sugar sweetened beverages (SSBs) decreased by 38% (compared to baseline). The shift from SSBs to non-SSBs occurred across categories – for example, carbonated SSB sales decreased, whilst carbonated non-SSBs sales (e.g. ‘sugar-free’ or ‘diet’ varieties) increased. The findings suggest simple changes can support a positive shift in purchasing behaviour and encourage healthier choices, while remaining commercially viable. This can play a part in helping NHS Trusts meet the challenge set by NHS England to reduce sales of SSBs on NHS premises to less than 10%. Leading retailers, including Selecta, have voluntarily agreed to support this. Findings from the mixed snacks vending machines were more complex; however, it was observed that overall sales decreased slightly over the two phases – as a result, we saw a decrease in total calories from snacks. Sales of crisps decreased, while sales of confectionery, dried fruit and nuts, and other snacks increased. It is suggested the reduction in crisps sales may be, in part, due to the substitution of popular brands with lesser known brands to meet criteria for healthier savoury snacks – nine out of the ten crisps products available at baseline were removed. Exploratory analysis suggests there would be 23-35% reduction in calories, sugar, salt and saturated fat purchased if smaller pack sizes were available in the machines. The data suggests consumers switched from crisps to confectionery (and to a lesser extent dried fruit and nut and other snacks), which contain more sugar. By the end of Phase 2, total sugar purchased increased by less than 2% compared to baseline – this appears to be associated with increased sales of dried fruit products, which are not a source of free sugars (although it is recommended we consume dried fruit with meals to reduce the risk of tooth decay). PHE is currently working with the food industry to cut 20% of sugar from everyday products – including chocolate and sweet confectionery – by 2020, and 20% of calories from other popular foods – including crisps and savoury snacks – by 2024. The positive impact on sales of drinks suggests other vending operators could easily encourage healthier choices by replicating the approach of this trial. Employers in particular can consider adopting this approach. With most people in employment spending 60% of their waking hours in a work environment – where they will typically consume drinks, snacks and at least one meal – the workplace provides an opportunity to influence positive eating habits. Given the current nutrient content of snacks, helping people choose healthier snacks is clearly more complicated. Increased availability of smaller portions and reduced sugar/calories content – in line with PHE’s reduction programme – would give consumers a wider choice of healthier options. The vending machine trial suggests it is possible to support healthier choices without affecting profits. Healthier vending has a part to play in tackling obesity, alongside national interventions to help us make healthier choices. Chapter 2 of the government’s Childhood Obesity Plan set out measures to halve childhood obesity by 2030. These include a restriction on price promotions on foods higher in salt, sugar and saturated fat; and mandatory calorie labelling on menus. This may present an opportunity for retailers to promote healthier options, which could be a win-win for both consumers and businesses. Selecta has now changed the product selection of both drinks and mixed snacks in line with Phase 2, in all 632 machines it manages across 105 NHS sites – this further indicates the commercial acceptability of this approach. Charlotte Orton, from Leeds Teaching Hospitals NHS Trust, said: “We were delighted to be part of this programme of work. Working collaboratively with Selecta has been a fantastic opportunity to demonstrate that vending machine suppliers and employers can work together to improve the health of employees, visitors and in our case patients, by offering healthier options. 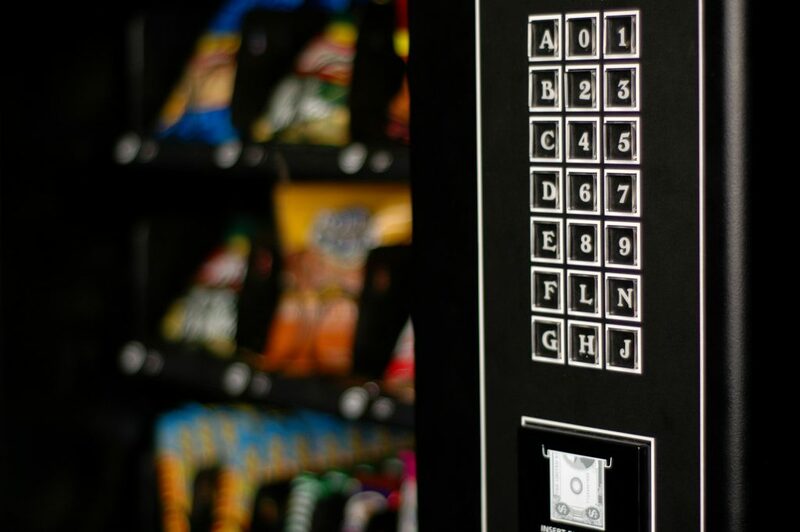 Following the success of the trial, PHE is now supporting Leeds City Council to conduct further trials in snacks vending machines across nineteen of its leisure centres. There is no single solution to tackling obesity – this work compliments our sugar and calorie reduction programmes and the Treasury’s Soft Drinks Industry Levy, which are all helping to improve our food environment. At the same time, our Change4Life and One You campaigns continue to help people make healthier choices.